Top Physical Therapy websites for the elderly, seniors, older adults, parents, grandparents, great grandparents, and aging people*! Remember, AAA PT accepts Medicare Insurance plans! *We are still using the words "senior", "elderly", "older-adult" for they are the common words used but we are aware and sensitive to be politically correct! 1. Medicare.gov: Being that outpatient physical therapy is covered by Medicare Part B, the focus is on preventive and other rehabilitation treatment that is deemed medically necessary. Here is a simple explanation of your benefits for Medicare Part B. Please watch this video about Medicare and Physical Therapy. Yes, AAA Physical Therapy in Columbia, Howard County, MD accepts Medicare and almost all secondary insurance plans! If you are a senior and looking on how Physical Therapy could help, AAA PT is here! Geriatric Physical Therapy / Senior Rehabilitation - Your top-rated physical therapists at AAA Physical Therapy in Columbia, Howard County, MD is one of the leaders in providing and facilitating exercises with the older adult population. If you are looking for physiotherapists with great reviews for seniors or the elderly “near me”, please call 443.979.7171 or email us at admin@AAAPhysicalTherapy.com! Best Geriatric Rehabilitation? AAA Physical Therapy is here to help! Geriatric Physical Therapy / Senior Rehabilitation - AAA Physical Therapy is a leader and one of the best physical therapists for your ageing parents and grandparents located in Columbia, Howard County, MD! If you are looking for a Movement Specialist for the elderly “near me” in Ellicott City or Elkridge, please call 443.979.7171 or email us at admin@AAAPhysicalTherapy.com! 2. CDC.gov: These are some of the guides and information about aging such as falls, heart disease, stroke, adult driving to avoid auto accidents, and physical activity and exercise to combat obesity and arthritis pain to name a few. We can schedule your free fall-risk screen at AAA PT! 3. 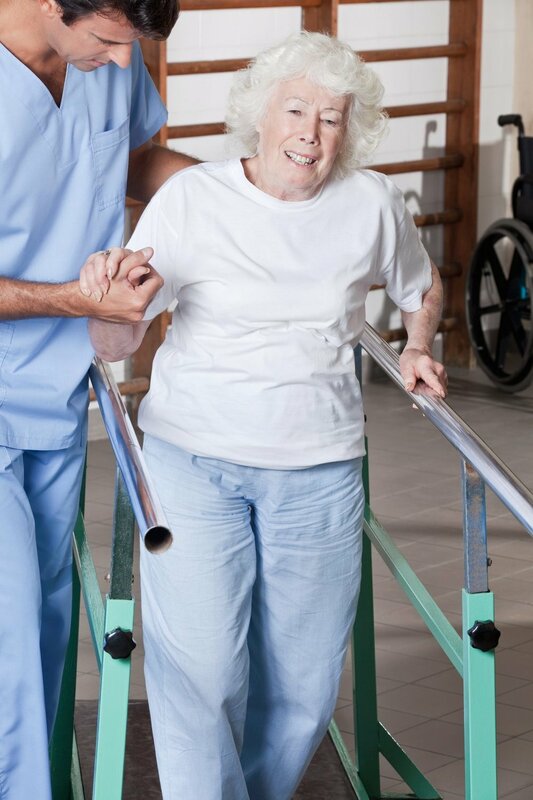 Academy of Geriatric Physical Therapy: There are multiple and easy to read handouts such as preventing falls, osteoporosis, joint replacement and pre-operative rehabilitation, knee replacement, exercises, living independently, and much more! If you are contemplating getting a surgery for your shoulder, hips, knees, feet, or any other joint, please contact us for a free 15 minute pre-screen! 4. National Council on Aging: You can subscribe to their newsletters and know more about healthy aging, exercise programs, falls prevention, and other information such as economic security and public policy and action. We could develop a personalized and safe exercise program for you! 5. WebMD.com: A way to present complicated medical terms in a simple way like how they explained how Physical Therapy helps with arthritis, cancer pain, Parkinson's, incontinence, and how Physiotherapy helps in improving your strength and endurance for the elderly. WebMD also have information about preventive care, living well in retirement, diet and weight management, and much more which are all related to pain management and rehabilitation! Living with pain? See what your dedicated physical therapists can do for you! 6. American Physical Therapy Association: This is the licensing body for physical therapy but there are good information to know about PT and aging. For example, in the survey done in 2015, half of American adult population surveyed that they believe they will be independent and enable them the lifestyle that they have hoped for themselves while the other half are resigned that they will physically decline. Whatever their belief system is, physical therapists (movement experts) should be able to assist and enable our aging population by providing an appropriate exercise regimen to improve muscle strength and physical function for anyone above 50 years old! 7. Agingcare.com: Aside from looking for an assisted living facility or adult medical daycare or in-home adult services; they also have other informative resources ranging from finances to looking for a cemetery. However, they have useful information about geriatric rehabilitation such as hip replacement surgery and recovery, Medicare information, mobility and falls information, and other information about aging! 8. Seniorliving.org: Another website to search information about adult independence to nursing homes and memory care, they also have information about what 65 years old and older need to know before undergoing surgery. They also have an article about aging well, best senior blogs, and much more! Geriatric Fall Risk Specialist? AAA Physical Therapy in Columbia, MD is here! Geriatric Physical Therapy / Senior Rehabilitation - Your highly ranked physical therapists in Columbia, Howard County, MD at AAA Physical Therapy is one of the leaders in helping you maintain and improve your balance to avoid risk-falls with the geriatric population. If you are looking for movement specialists with great reviews for your ageing parents or grandparents “near me”, please call 443.979.7171 or email us at admin@AAAPhysicalTherapy.com! Healthy aging for seniors? AAA Physical Therapy is here to help! Geriatric Physical Therapy / Senior Rehabilitation - AAA Physical Therapy is a leader and one of the best, elderly or geriatric physical therapists in Columbia, Howard County, MD! So if you are looking for a Certified Exercise Specialist for the ageing population “near me” in Ellicott City or Elkridge, please call 443.979.7171 or email us at admin@AAAPhysicalTherapy.com! 9. Eldergym.com: A website created by a physical therapist for seniors or elderly with interesting blogs, there are exercises specifically identified for the older adult population. AAA Physical Therapy also have videos for these exercises so please check them out too! Again, we cannot emphasize enough of the importance of physical activity for the aging population and how your geriatric exercises by guided by your dedicated physical therapists! 10. Intentionalcaregiver.com: With plenty of other geriatric information especially being featured in many blog awards for seniors or elderly, one of the important articles they have is about the 8 benefits of physical therapy on senior health. In addition, there is a list of other resources about senior care or geriatric care. If you want to know more on how physiotherapy to maintain a safe and healthy lifestyle, please contact us at 443.979.7171 and we are conveniently located in Columbia, MD! 11. Nursingassistantguides.com: Aside from multiple blogs about aging, they also provided other helpful senior living sites as well! 12. Eldercareabcblogs.com: Though dedicated for senior caregivers, this website has multiple geriatric rehabilitation blogs. 13. Top 50 Aging Blogs: This website is about healthcare administrator however the link provides other senior or geriatric blogs out there. Bonus: As AAA Physical Therapy is active in Columbia, Howard County, MD community, we are also members of Local Health Improvement Coalition especially in healthy aging! Feel free to know more about local geriatric resources! Remember, we do accept Medicare and most private insurance plans!